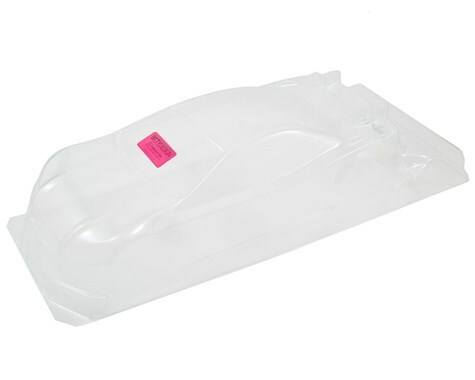 This is the Bittydesign "Striker-SR 3.0" Clear 190mm EFRA Spec 1/10 Scale Touring Car Body. 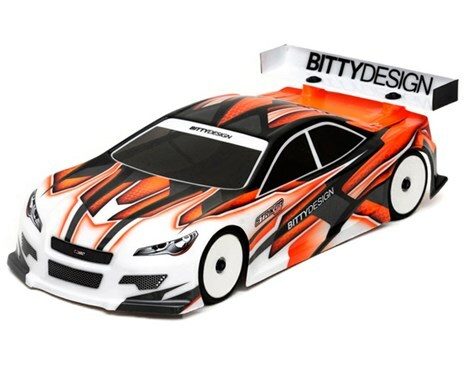 After extensive testing and through the pursuit of performance, Bittydesign has released the Stiker-SR 3.0 Touring Car Body. The Striker-SR 3.0 body features many benefits over the 2.0. In particular, the body is very balanced and more consistent. This proves itself extremely effective on high grip tarmac surfaces where drivers push their vehicles to the limits. The body is EFRA, IFMAR, ROAR and BRCA approved so you're covered wherever you race and includes body windows mask, decal sheet, wing and wing mounting hardware. NOTE: Body is shown painted for advertising purposes only. All Bodies are sold clear and untrimmed.